Bitcoin is a technology that allows for trade over the internet without the possibility of credit card fraud and without bank fees. Where credit cards were created for the pre-internet world and require account information to be traded, bitcoin is like cash. You pay someone Bitcoin, not your bitcoin account information. This is why bitcoin is a cryptocurrency. This provides a lot of public good. People can buy from anywhere in the world without bank imposed fees or the worry that an unknown foreign company will steal their credit card information. Bitcoin users are also immune to things like bank account freezes or non-sufficient fund charges. 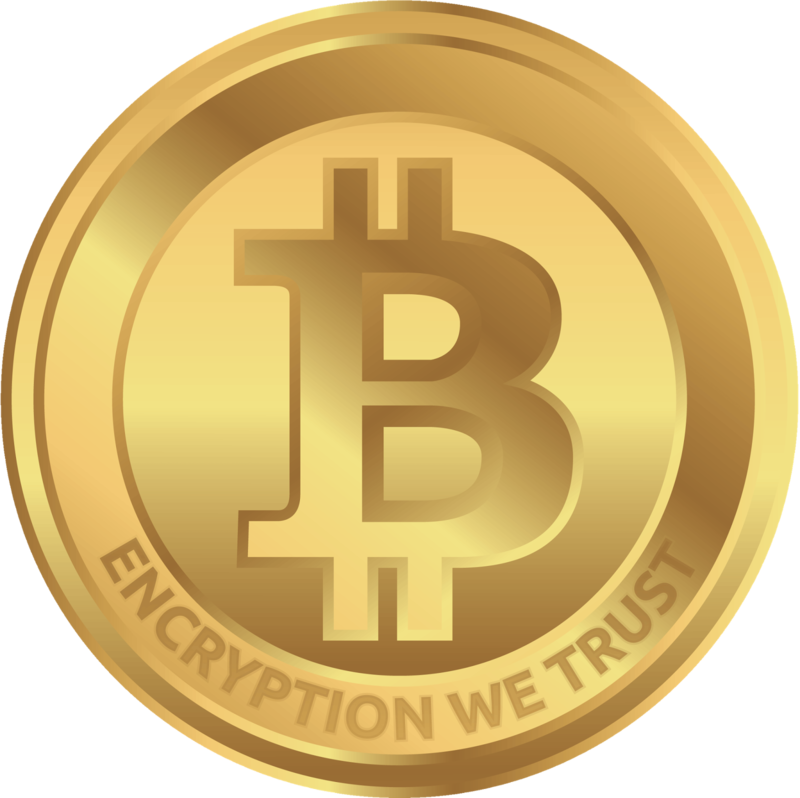 Each bitcoin user has their own independent encrypted wallet. When combined with a long, strong pass-phrase (passwords are too short for effective security), bitcoin in a users wallet are more secure than money held in a bank account. The government frowns upon bitcoin. Many governments oppose it, but not because bitcoin is evil. Governments use various rationalizations that boil down to the governments greed for power to control money. Bitcoin is money backed by mathematics, not governments. Bitcoin is created in limited quantities, so it cannot be printed and artificially inflated. There is a fixed total amount of Bitcoin. Bitcoin must be "mined" which means computer algorithms reward people for cracking codes. The codes become harder the more computing power is thrown at bitcoin, so no one can make all the Bitcoin. There is also an element of randomness to ensure that little guys have a chance. When laws are used against the public good, or to empower the powerful, we nerds call this "lawful evil". Slavery, fascism, communism are all examples of the law being used to enrich some at the expense of others. All governments are prone to the temptations of "lawful evil" because government is the concentration of power. Government can be looked at as the monopoly of the use of force. Which is why George Washington explained, "Government is not reason; it is not eloquent; it is force. Like fire, it is a dangerous servant and a fearful master." The government really has no bigger role in the technology of bitcoin than it would in some foreign currency. As a matter of fact, we sometimes forget that the power to "regulate" was intended to promote trade by making it "more regular." Bitcoin is self-regulating, it can't be stolen, hacked, monopolized or counterfeited. It is just a new currency of trade designed for the internet. Not only is there no need for government regulation of bitcoin, intervention doesn't serve the public good. Regardless, the most powerful government in the world, The U.S. Government, has crafted a Machiavellian strategy to stop bitcoin. Some of the earliest adopters of bitcoin were people trading drugs and other illegal items on a website called Silk Road, so the U.S. Government shut down the website. They seized 29,656 Bitcoin from the accounts users stored on the Silk Road servers (not held in their personal encrypted wallets). In the beginning, Bitcoin were only worth a few dollars, so this really wasn't much money. The operator of the site accumulated 144,000 Bitcoin through fees. These coins were also seized but were held in a secure wallet that the government could not access. The U.S. Marshals took the 29,656 bitcoin from the website's servers and the FBI took the 144,000 Bitcoin wallet from the proprietor, Ross Ulbricht aka “Dread Pirate Roberts". We are not condoning illegal activity, but Bitcoin wasn't the problem with silk road. The U.S. Dollar is the actual currency of the drug trade and illegal activity. But, the U.S. government learned that Bitcoin was a threat to their income stream because they couldn't just seize cash and bank accounts. Instead they held an encrypted wallet they couldn't crack. Civil Asset Forfeiture Law allows government agencies that seizes assets to then charge the assets with a crime and sell or use those assets themselves. Most Civil Asset Forfeitures are not associated with a criminal case. As a matter of fact, if you carry $10,000 in cash, it must be declared or it can just be seized. Unlike normal due process, you must then prove that the money is yours and how you earned it. There is no presumption of innocence. "Cato Institute, a libertarian think-tank, found that 80% of people whose property was seized by the federal government were never charged with a crime. Forfeiture proceedings are brought not against people, but against property that law enforcement need only allege is connected to criminal activity." When the government seized Bitcoin from Silk Road, some of the coins were being traded for legitimate goods, but it would be impossible for someone to fight on behalf of their Bitcoin as the Bitcoin would themselves be charged with money laundering due to the Silk Road system through Civil Asset Forfeiture. However, because Bitcoin is now seen as a threat to the revenue stream of the government a strategy appears to have been developed to suppress the revolutionary technology. The U.S. Government doesn't see Bitcoin as a threat to the dollar because the price of bitcoin would have to be above $4,600 to allow $1 trillion in transactions value to take place globally. At $500-600, bitcoin is just a nuisance for law enforcement asset seizures. So, the anti-bitcoin strategy appears to be aimed at minimizing this strategy by suppressing the price of bitcoin. With this price suppression in mind, the first step is to declare the new currency a "capital or non-capital asset" or property through IRS Notice 2014-21. Without this declaration, bitcoin would be reported as cash, and companies using bitcoin could trade dollars and Bitcoin and report them on the same part of the balance sheets to investors. By the IRS declaring it a capital asset, bitcoin focused companies will show weaker cash and current ratios than non-bitcoin companies. Bitcoin companies would have to be big for cash ratios to matter, but Bitcoin seized by law enforcement also allows for a broader attack on the new cryptocurrency. Every company holding Bitcoin will show less assets if the price falls. This could affect their ability to get loans or new investors. So, today June 27th, 2014 is the first run at dumping thousands of bitcoin on the market at the end of a reporting period. The U.S. Marshals timed their 29,656 bitcoin auction to coincide with the end of the 2nd quarter for reporting purposes. The auction will sell Bitcoin in blocks of 3,000 and requires a $200,000 deposit. This will keep small investors out of the auction and ensure that companies with reporting requirements, public or private, buy the coins. These companies will then have to sell a portion of the coins within the next three days, June 30th, or show a hit to their cash balances. This hit to bitcoin related companies will discourage additional investment, make financing more difficult and allow for the lapdog media to push a narrative headline that bitcoin is failing. If this strategy works, the remaining 144,000 FBI seized Bitcoin will follow the same strategy. They would be auctioned in blocks just before the end of the next several fiscal quarters. There is one hitch in this strategy. Bitcoin is not the only cryptocurrency. The second leading currency is called Litecoin. It is newer than bitcoin, transactions are faster, there are more coins, the coins are still only around $10 and the coins are more easily mined by small players due to a newer algorithm called "scrypt." Many exchanges allow for Bitcoin to be directly traded for Litecoin, so companies with Bitcoin can move to Litecoin instead of suffering losses to their balance sheets during the Auctions/dumps. Due to this flaw in the anti-bitcoin strategy, government agents have had to contend with the #MoveToLiteCoin movement. 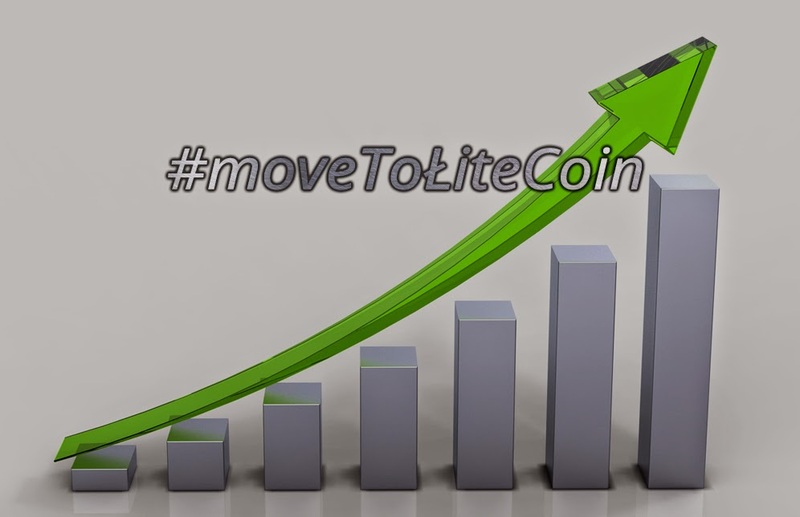 They primarily must resort to insults and personal attacks otherwise known as FUD (Fear, Uncertainty and Doubt) on proponents of #MoveToLiteCoin to discourage others from joining the movement. In the end, they don't have enough seized LiteCoin to suppress the market. Shortly after our first report on #MoveToLiteCoin, someone traded 1600 Bitcoin for Litecoin. Last night nearly 100,000 of these were dumped on the market with almost no effect. If this was the government's attempt at stopping Litecoin in order to further their anti-bitcoin strategy, the U.S. Government can't stop Bitcoin. We expect to see Bitcoin prices to fall through June 30th and Litecoin prices to rise. After the U.S. Marshals Bitcoin dump is over the media will run press release driven stories on "Bitcoin's crash." Review both Bitcoin and Litecoin prices to prove that Bitcoin is just too flexible to stop due to its alternative cryptocurrency partners. Even if Bitcoin prices fall, watch as Bitcoin quickly rebounds as investors return from their #MoveToLiteCoin. The Bitcoin community is responding to the auction of seized Silk Road coins by moving money into LiteCoin and other alternative coins. The government agencies selling seized coins are seen to be "dumping" them on the market in an effort to suppress the internet currency and it is has sparked outrage. Instead of allowing the government agencies to profit, the community is taking action by moving money via exchanges around the world. The money is being put into so-called "alt coins", led by the second largest cryptocurrency, LiteCoin. Thus far the Bitcoin fell from $648.89 to $560, with a rebound to $589 as of posting of this article. If this campaign takes hold you might expect further reductions in price, accompanied by increases in LiteCoin and other cryptocurrencies. U.S. Civil Asset forfeiture law allows departments that seize cash and other assets to use it for various expenses. This is incentive for the law enforcement agencies to sell assets or spend seized cash, but without the rigor of traditional due process. For instance, if you are a U.S. citizen carrying $10,000 in cash, it must be declared or it is subject to seizure. If seized, you must prove that it is yours and how you earned it. The legal system may not be impartial in the process because it can use the cash. "80% of people whose property was seized by the federal government were never charged with a crime. Forfeiture proceedings are brought not against people, but against property that law enforcement need only allege is connected to criminal activity. " Silk Road bitcoins were seized by the U.S. Marshals Service from servers and 29,656 ($17,793,600) are to be auctioned. These coins are to be sold on June 27th over a 12-hour period to anyone willing to put up $200,000 as a deposit. Additionally, 144,341 ($86,604,600) bitcoins were seized from "Dread Pirate Roberts" or Ross William Ulbricht, the operator of Silk Road. Until recently, these coins were not available for law enforcement to sell on the market because they were unable to crack the encrypted password protection. Bitcoin proponents have pointed to this as proof that bitcoin is more secure than assets held in banks. Mr. Ulbricht apparently gave up this password as the coins have recently been moved into a new wallet. All bitcoin transactions are tracked automatically via the blockchain, so we can view the two accounts which held the Silk Road seized coins. DPR Seized Coins were moved to DPR Seized Coins 2 on July 12, 2014 in an apparent "shot over the bow" of the bitcoin community by the U.S. Government. Unfortunately the bureaucrats failed to realized that this warning shot might have consequences. Money for fleets of shiny new government vehicles, huge salary bonuses and bloated expense accounts may now evaporate when the government attempts to cash in. Undoubtedly, some government social media workers will then begin pushing a narrative that bitcoin is "unstable" as they did after someone sold down the price of bitcoin to $102, likely due to a trading glitch. However, the price rebounded in minutes after that incident, which is not widely reported. The #MoveToLiteCoin campaign intends for the price of bitcoin to resume it's epic rise when the alt coin money returns.